A new study lends insight into how domestication of our four-legged companions was steered by interactions with humans and their cultural practices. In the Siberian Arctic, the Ob River flows lazily across vast, cold stretches of tundra. In the city of Salekhard, Russia, where it meets with the Polui River, lie the remains of an ancient ritual site. Overlooking the floodplains, it is known as Ust&apos;-Polui. It is thought to date back to 260 B.C.E. and to have been occupied until 140 C.E. The site has long fascinated archaeologists due to the huge number and diversity of bone remains and artifacts present. Preserved by permafrost, they tell the story of a site with special importance to ancient Siberian communities. One team of researchers has turned to a little-studied aspect of the site: the unusual number of dog remains. Complete skeletons or parts from at least 128 dogs have been identified since it was first excavated in 1935. "Nowhere else in the Arctic do we find so many dog remains at one site," says Robert Losey, an anthropologist at the University of Alberta in Canada. "It&apos;s intriguing enough to want to go retrace the relationship between these animals and the ancient inhabitants of Ust&apos;-Polui." Losey and colleagues wanted to find out more about the roles these animals played within the communities that inhabited the site. Their study, published in the September issue of the Journal of Anthropological Archaeology, lends insight into how domestication of our four-legged companions was steered by interactions with humans and their cultural practices. In the last few decades, research into dog domestication has generated intense interest in the scientific community. Experts debate both the definition of "domestication" and the precise origins of the domestic dog. "Disagreements have emerged because it&apos;s hard to tell a dog from a wolf if all you have are bony remains, so pinpointing when some wolves evolved into dogs and what role humans may have played in that evolution is no easy feat," says paleoanthropologist Pat Shipman, a former professor at Penn State University who was not involved with the study. Recent studies have tried to find evidence of domestication by identifying changes in the genes and skeletal morphologies, or bone structures, of ancient animals. These analyses have helped us get a clearer idea of when and where dogs emerged more than 15,000 years ago. But researchers have seldom looked at how and why dogs and humans interacted. A diversity of cultural practices may have shaped these relationships, but until now, they have rarely been investigated. Understanding how humans and canines lived together is important because specific human practices and mutual cooperation between species may explain changes in the physical aspect and behaviors of dogs. "By documenting the interactions between one group of dogs and one group of humans at Ust&apos;-Polui, long after the first encounter between the species is thought to have happened, we wanted to show there is more to domestication than bodily changes," Losey says. To gain insight into human-dog interactions, the researchers retraced the life stories of some of the animals that had lived at Ust&apos;-Polui around 2,000 years ago by looking for evidence of how they were treated and what activities they participated in. They also analyzed the shape of the bones and crania to find out more about the body structures, health, and ages of the dogs. In the four centuries that Ust&apos;-Polui was occupied, hundreds of dogs may have passed through the site, according to the research team. Many fragmented bones, Losey and his colleagues found, belonged to young dogs, with some of the remains bearing cut marks. The researchers suggest that humans at Ust&apos;-Polui killed and likely ate these animals. 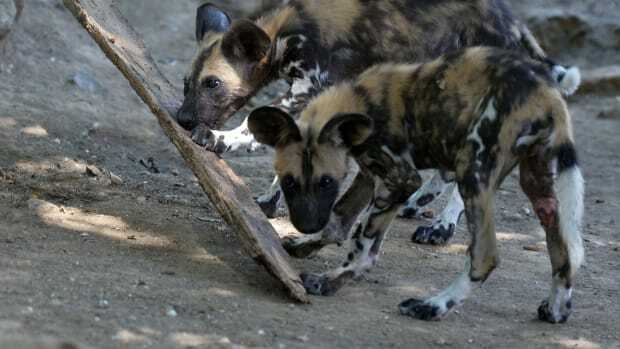 It seems the ancient communities at Ust&apos;-Polui gave special attention to dog crania, which are unusually abundant at the site, according to the team. These crania, as well as some of the animals&apos; mandibles, were attached to sticks or straps as ornaments, and some are thought to have been worn by people. The dogs that these remains belonged to may have been ritually sacrificed. In addition, some of the animals were buried whole after what appears to have been a natural death. Losey and colleagues had previously analyzed the chemical composition of the bones to try to determine the diets of the dogs buried at the site. A number, they discovered, had consumed fish from nearby rivers, suggesting that they were possibly dependent on humans for some of their basic needs. The scientists also found the remains of wood sleds that were likely pulled by the animals. Sled pulling, the researchers believe, may have taken a toll on their bodies and transformed them over time. 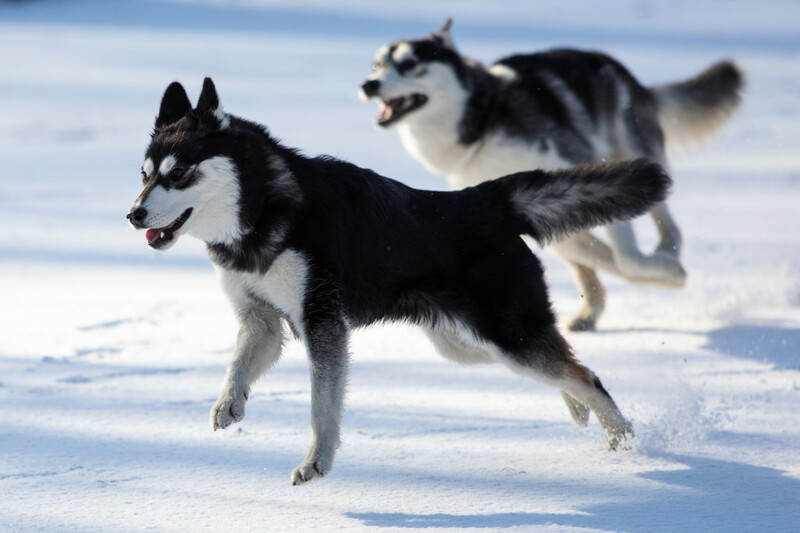 In the long term, the bone structure of the dogs may have adapted to better bear the strains of sled pulling. Choosing which animals would live, work, and reproduce is a form of selective breeding and an important feature of domestication, the study authors argue. As such, these human actions shaped the physical characteristics and personality traits of the animals that lived at Ust&apos;-Polui. The fact that some dogs were ritually buried while others were butchered suggests a complex set of beliefs regarding the place of dogs in society. 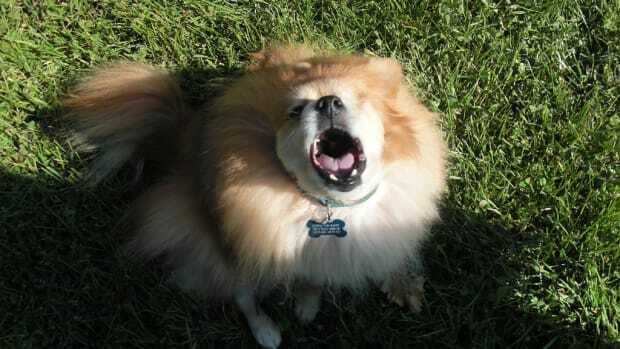 Canines were not seen as a homogeneous group. Researchers don&apos;t know why they received different treatment, but these new findings suggest that humans only built an enduring relationship with the dogs they deemed valuable to the community, molding them to their needs and cultural specificities. 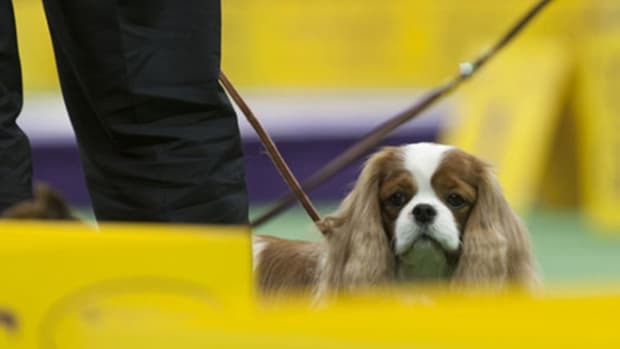 "These diverse practices—whether intentional or not—drove the evolution and domestication of dogs in this region," says Angela Perri, an archaeologist at Durham University in the United Kingdom who was not involved with the study. Greger Larson, an evolutionary biologist at the University of Oxford in the United Kingdom who did not participate in the research, praises the methods used in the new study. "It&apos;s important we start looking at more than one line of evidence," he says. "Analyzing ancient DNA on its own is a great way to tell us about the ancestry of a dog, but it does not really tell us about the relationship that the animal had with humans." Understanding this relationship is the key to learning more about how domestication happened, both in the Siberian Arctic and elsewhere in the world. "Genetic and bodily changes are not a cause but a consequence of domestication," Losey says. "We want to rethink domestication as an ongoing process that we can study anywhere in the world where people lived with domesticated animals and integrated them into their culture." This story first appeared on SAPIENS on September 6th, 2018. Read the original version here. What Happened to the Serengeti's Wild Dogs? A new study definitively disproves a decades-old theory that human "handling" of the animals caused their rapid disappearance from Serengeti National Park in 1991. 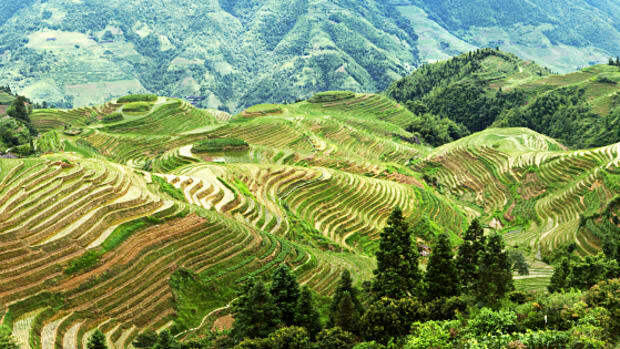 New research suggests our ancestors' agricultural practices may have shaped our beliefs and assumptions. What America’s most prestigious dog show tells us about our relationship with our canine companions. Basically, by scaring the crap out of raccoons (but really we should let the bears do that). 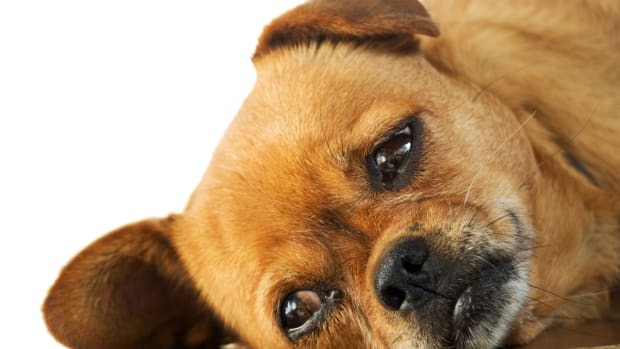 Do You and Your Dog Need Couples Counseling? Humans may not be the only ones with attachment disorders. Patrick McGovern's alcohol-infused archaeology informs some of the best local alehouses, but the real benefit of his work may lie in the cancer ward.